Altrough this TV crime drama series started airing almost two years after BBC drama Sherlock it does by words of both not infringe on them. In fact opinion is that both bring something new to original world of Arthur Conan Doyles character. 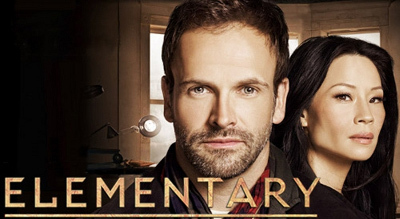 Set in todays world features Sherlock played by John Lee Miller after addiction problem, moving in New York, and hiring sober companion Joan Watson played by LucyLiu. This conection goes on thru whole season 1 and in season 2. Very acctual be it hacking, whistleblowing, cult brand leader and relatively good performances of main protagonists make this TV series highly watchable. Also after initial shoch of Watsoh being woman thing starts to work well- Worth watching in 2013 and after. Cast still includes Aidan Quinn as Captain Thomas Tommy Gregson, Jon Michael Hill as Detective Marcus Bell, Ato Essandoh as Alfredo Llamosa and Rhys Ifans as Mycroft Holmes, Sherlocks older brother. anonymous: "my dear Watson gets whole new meaning on all those high heels ;)"
anonymous: "great series recommendation/review. eagerly await 2014. for this, Leonardo and Vikings to continue." anonymous: "all three of tv series stated above are really refreshing and welcome." anonymous: "my dear watson has never had such good looks before..."
Solve this complex math: 7 + 6 = ?